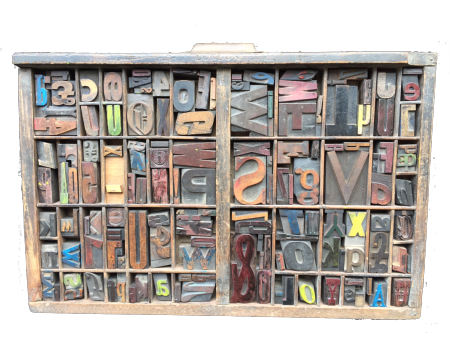 A large wooden type case, filled with an assortment of wood letters. Makes a great wall hanging. (Please note that the image shown is an example, and all our Filled Type Cases are different). (55cm x 36cm x 2.5cm). Type Case 4 is double the size of Type Case 3.